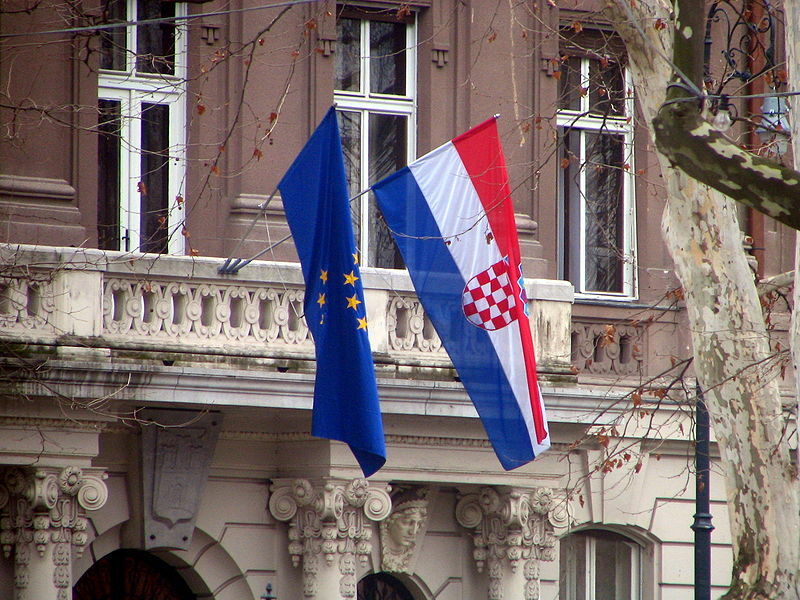 According to numerous Croatian and international news outlets, as well as the conversations brewing on social media sites, the European Commission is likely to punish Croatia in an ongoing row over extradition rules  that has left a stain on the former Yugoslav state's first months as a member of the European Union and may endanger EU aid for border control improvements. Sanctions would threaten the EU's aid program for Croatia, notably for border control improvements vital to the country's bid to join the bloc's passport-free Schengen zone . As Global Voices reported , a few days before Croatia joined the EU on 1 July 2013, it changed the law to effectively ensured that veterans of Croatia's independence war, that are wanted in in other for possible war crimes, could not face prosecution elsewhere in the EU. The European Commission, which acts as the bloc's executive, is expected to invoke an article in Croatia's accession treaty that allows it to impose punitive measures if standard EU regulations are broken. The so-called safeguard clause, Article 39 of the Croatian accession treaty , will be triggered, which provides for the introduction of punitive measures or termination of membership for Croatia during a period of three years after the country's accession to the union. “Patience has run out. We will likely move to trigger the safeguard clause,” one senior Commission official told Reuters , speaking on condition of anonymity. He said this would likely happen at the regular meeting of EU commissioners this week. Commissioners of the EU Commission have supported the proposition of the Commission’s Vice President Viviane Reding  to impose sanctions on Croatia, as confirmed by her spokeswoman Mina Andreeva and as reported  [hr] Croatian portal index.hr. Reding, together with the President of the European Commission Jose Manuel Barroso  and Commissioner Stefan Füle  notified the panel that Croatia violates provisions of the European arrest warrant. She, as reported, suggested that the European Commission impose sanctions on Croatia, which European Commissioners accepted. Zagreb daily Jutarnji List published yesterday a statement by an unnamed high representative  [hr] of the Croatian government who said that Croatia will persist in the position of a principled state and will not accept warrants by “arrogant” European politicians. Croatian Prime Minister Zoran Milanovic  said earlier that a proposition for amendment of the controversial law will be delivered to the Parliament in the first autumn session, but that it will be applied from mid-July next year. Milanovic considers that certain criminals should be judged by Croatian courts, not courts of other countries. While Croatian President Ivo Josipovic , as well as Milanovic, believes that it will not come to sanctions  [hr], because Europe and Croatia have more important things to do now, the leader of the most influential opposition party, the Croatian Democratic Union, Tomislav Karamarko, believes  [hr] that everything about the Croatian arrest law, colloquially called Lex Perkovic , is scandalous.